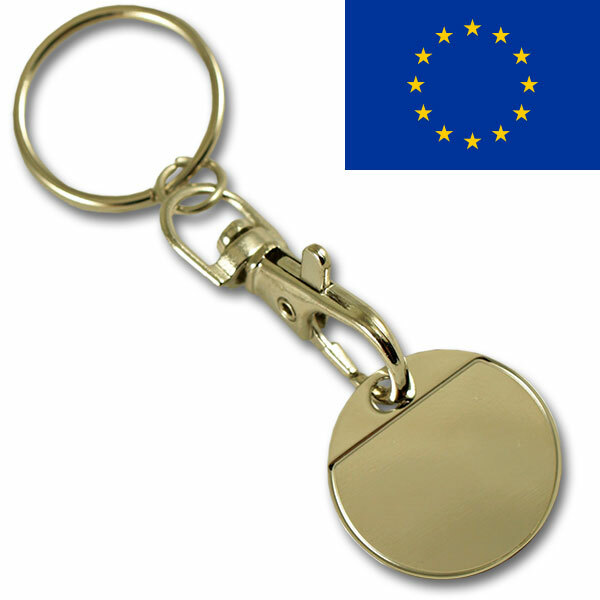 Description Innovative & Unique logo process to personalize EUR 2.00 trolley token. Doming logo process brings a great update to the traditional enamel logo process on iron coin keychain. Doming enables full color printing with no extra charge, Low MOQ (100pcs), low set up charge ($20), and rush delivery (1week up to 1000pcs). 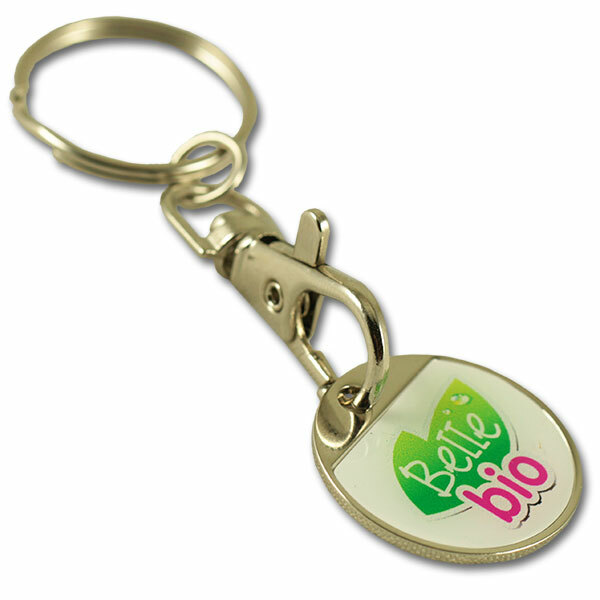 Moreover QCS Asia is THE professional of coin keychain. Our catalog features more than 20 references of trolley token, thus matching 20 different currencies. Technical info EUR 2.00 coin size. Iron stamping, 25.75*2.0mm (#ICKC06). Recessed front side, straight top, Nickel plated. 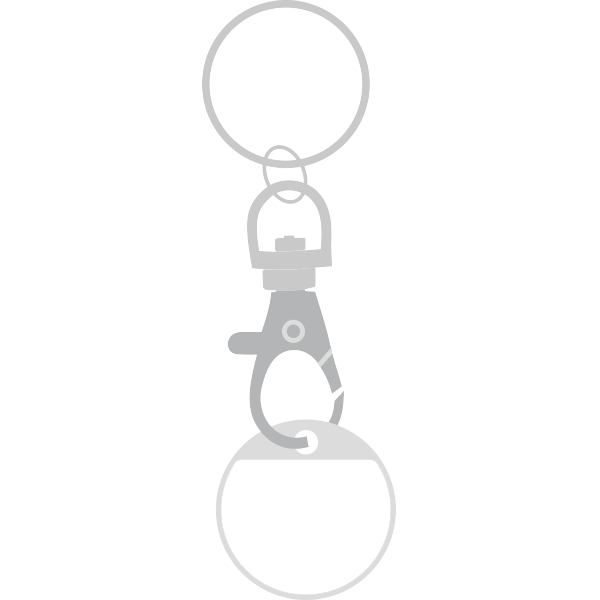 Attachement Zamac carabiner hook + Split ring 25.0mm (#MT3), nickel plated.